From safety and security to developing air cargo and drones, the Ministry of Civil Aviation is making sure that every aspect of the sector is managed to its full capacity. 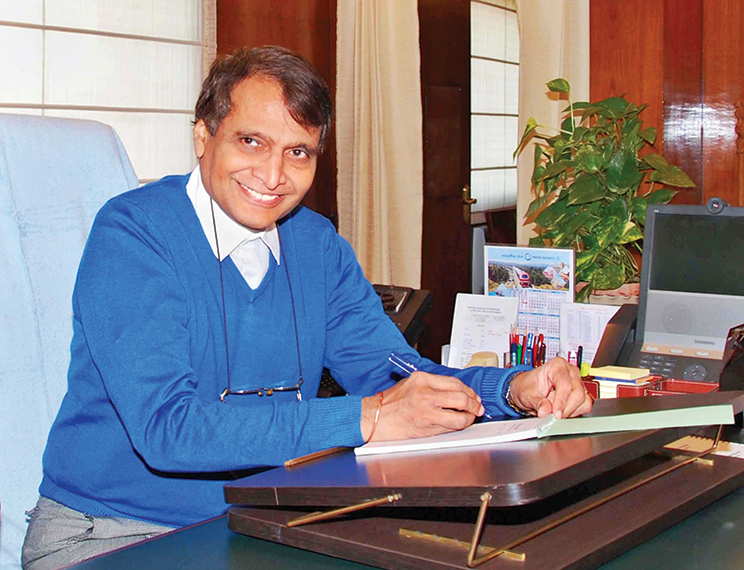 Suresh Prabhu talks to AIBM about aviation safety, infrastructure expansion plans and more. Recently you have been given the additional charge for Ministry of Civil Aviation, so what is your plan of action for MoCA? Aviation is a growing sector. Last month it grew almost by 30 percent. We feel that aviation is a significant contributor to India’s domestic growth but also to the global expansion of India through the skies. So we are trying to develop aviation through manufacturing of aircraft, we want to manufacture drones, and we want to use cargo as one of the drivers for aviation growth. How successful has the UDAN scheme been? How long can the government continue to subsidise air travel? Many airlines have complained about the cross-subsidy model of UDAN, so will you review this policy? It is the aspiration of every individual in the world to travel by air. This aspiration must be matched by some ground work. We are providing support through UDAN scheme for promoting air travel, which is affordable to common people. The word udan means flight, so I think this flight of fancy, which everybody has to fly in the air, will now be a reality with UDAN. 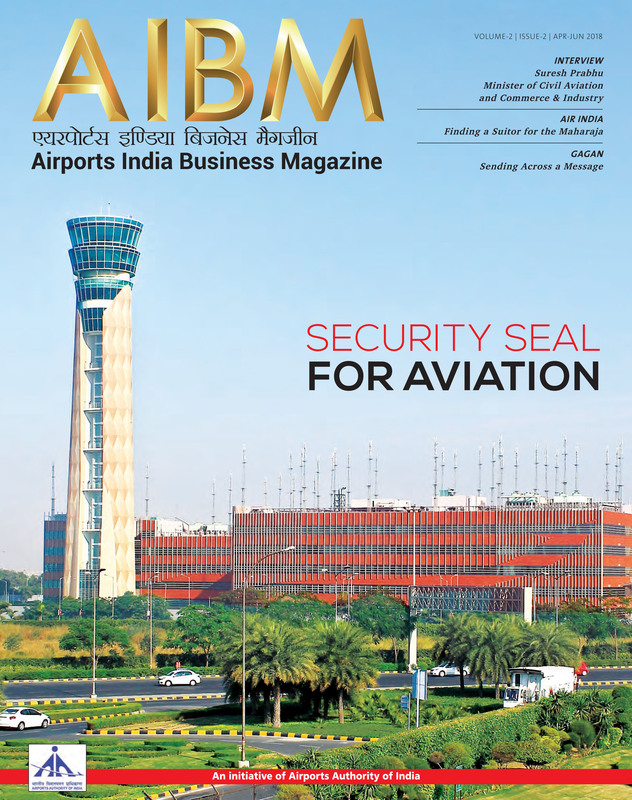 How do you look at the airport infrastructure, particularly if we see regional connectivity and expansions in Tier-II and Tier III cities? Helicopter companies are also complaining that the regulations in place still deter helicopter travel. Are you working on easing these regulations? There is always a challenge and always an issue of what comes first. Either demand comes first or you create the infrastructure first. Since demand is already there, we are trying to match it with the infrastructure creation. So we are working on airport expansion and technology upgradation, so that more flights can fly within the same infrastructure. These are very important challenges now, but it is always better to be in a position like this when the demand is constantly growing and then the infrastructure has to keep pace. If the infrastructure was created and then there would have been no demand then it would have been a challenge. This situation is also a challenge but not a challenge that we should be unhappy about. What is the new policy for air cargo? How will it help boost the economy of the country and aviation sector? We are in the process of making an air cargo policy. The idea would be to use the airspace available when the domestic airlines don’t fly that much, particularly at night. So we will use that space to make cargo movement possible. The number of air misses and other safety related issues has gone up dramatically in the last few years. How do you plan to improve the safety conditions in Indian skies? Is there a need for improving the training of pilots, ground handlers, air traffic controllers, etc.? Safety is a very important imperative but it is an ongoing effort. We have to constantly keep upgrading safety. Safety means tightening regulations, training, and taking action wherever there is a slightest deviation from standard operating procedures. So all of these are forms of safety but technology will have a key role in ensuring safety and training. Both will happen in a very significant way. What are the upcoming new airports under the scheme of UDAN and RCS? There are already 56 new airports, which we created and we may do more depending upon demand. More and more airstrips will convert into airports, and we are also thinking about creating a helicopter service. That would mean that we don’t necessarily need only airports but can work on a different type of infrastructure. So there are constant upgradations and modernisations keeping pace with the growing demands. The divestment of Air India seems to be stuck as most of the leading contenders like Indigo and Tata have apparently expressed reservations about the terms of the divestment. What kind of interest have you already received and are you willing to review the conditions to get more bidders? I will not be able to comment on that right now because the process is still going on. As you head to the Organisation for Economic Co-operation and Development (OECD) ministerial meet, the WTO negotiations are still blocked. Isn’t India getting short-changed by its trading partners? For instance, the Doha Development Round has never seen the light of the day and now India’s key partners like the US and EU expect India to drop its tariffs and open its markets, the same way a rich economy would do. Is India ready to accept such a deal? What are the main issues on the table for the OECD meeting? India is embracing the global community. We have relationships with all countries in the world, so we always try to integrate ourselves with the global economy. We believe that the future of the world lies with everybody in the world working together towards a common destiny. So we have to work very closely with each other. OECD is a very important organisation. The member countries’ economies are very large and over a period of time OECD has also become a think tank. They work with countries and its people and try to come up with various publications. I have interacted with them quite a bit and I shall go to OECD in Paris and would we very happy to work with them. We don’t see any challenge with dealing with OECD as an organisation or its members. What’s your view on the year ahead? Where is the global economy headed? Economy of the world can grow only when we work with each other. The global economic growth depends upon economic interdependence. If we don’t integrate, we will never grow. In the last almost 35 years, since WTO has become a very important entity, the world has seen a huge exponential growth in economic activities, which have benefitted all countries in the world. So when you see all countries benefitting, we will also like to benefit from that. India is now the fastest growing economy but also the growth that is happening in the country is significantly contributing to global growth. So we are both beneficiaries and contributors to global growth.